Germany has banned Iranian airline, Mahan Air from operating in the country's airports. Following heavy US pressure on Berlin to act, the foreign ministry announced the measure, saying Iran has been transporting military equipment and personnel to Syria and other Middle East war zones. The move was necessary to protect Germany's "foreign and security policy interests", said foreign ministry spokesman Christofer Burger. 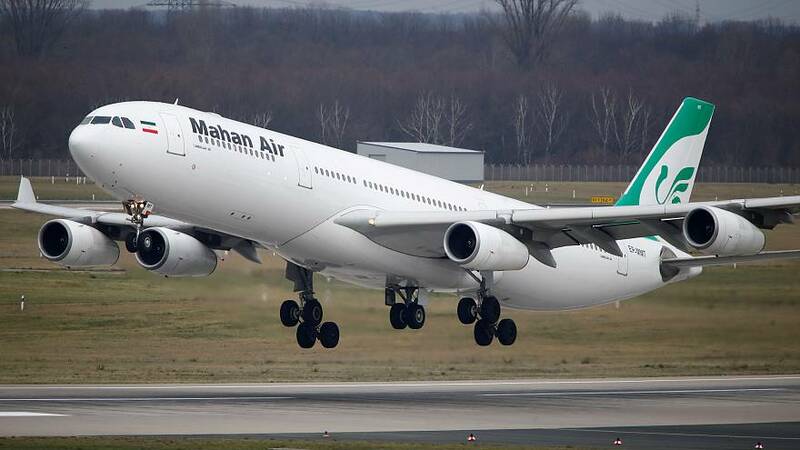 Officials at the Federal Aviation Office (LBA) sent Tehran-based Mahan Air a notification "ordering the immediate suspension of its authorisation to operate passenger flights from and to Germany" from Monday, a transport ministry spokeswoman added. Mahan, Iran's second-largest carrier after Iran Air, flies four services a week between Tehran and the German cities of Düsseldorf and Munich. It was blacklisted by the US in 2011, as Washington said the carrier was providing technical and material support to an elite unit of Iran's Revolutionary Guards known as the Quds Force. Mahan Air in Tehran said it could not comment immediately on the ban. The measure does not signal plans for the reimposition of broader sanctions against Iran, said a German government source. Mahan Air, established in 1992 as Iran's first private airline, has the country's largest fleet of aircraft and has flights to a number of European countries, including France, Italy, Spain, and Greece. German government spokesman Steffen Seibert denied that the decision to ban Mahan air was the result of US pressure. "The German decision is based on considerations of our security needs," he said. "It cannot be ruled out that this airline could also transport cargo to Germany that threatens our security. This is based on knowledge of past terrorist activities by Iran in Europe," he added. Along with Iran, the other signatories to the non-proliferation deal - Germany, France, Britain, Russia and China - are still trying to keep it alive.